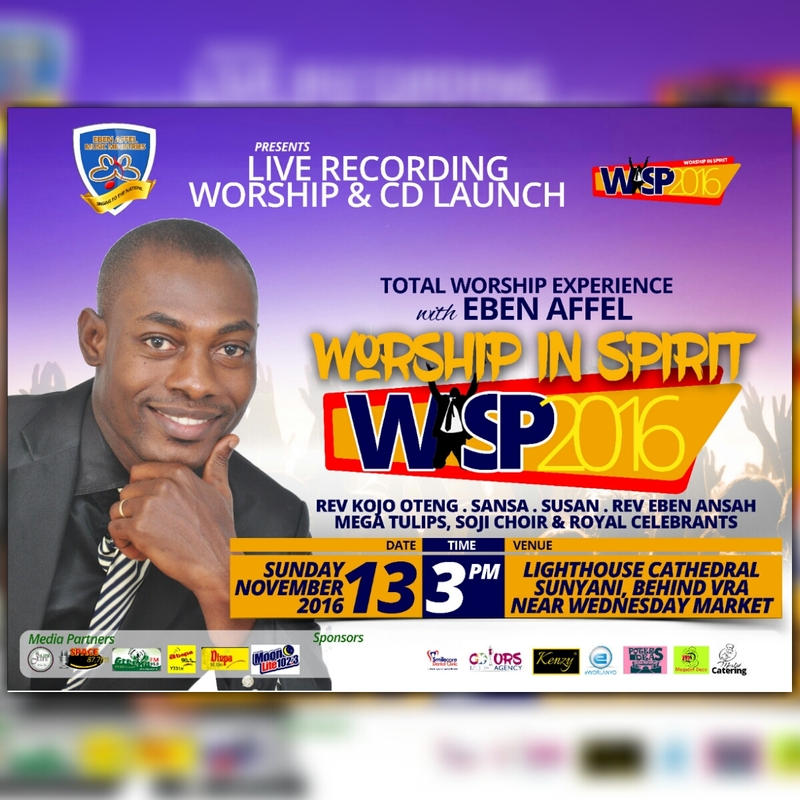 The day is finally here for Pastor Eben Affel’s CD launch and live recording to take place at Sunyani, capital of the Brong Ahafo Region. Supporting artists and Music groups gracing the occasion include; Rev Kojo Oteng, Sansa, Susan, Rev Eben Ansah, Mega Tulips, Soji Choir and Royal Celebrants. The venue for attraction is LightHouse Cathedral Sunyani, Behind VRA near the Wednesday Market. Let’s meet at exactly 3pm for a total worship experience with Pastor Eben Affel.